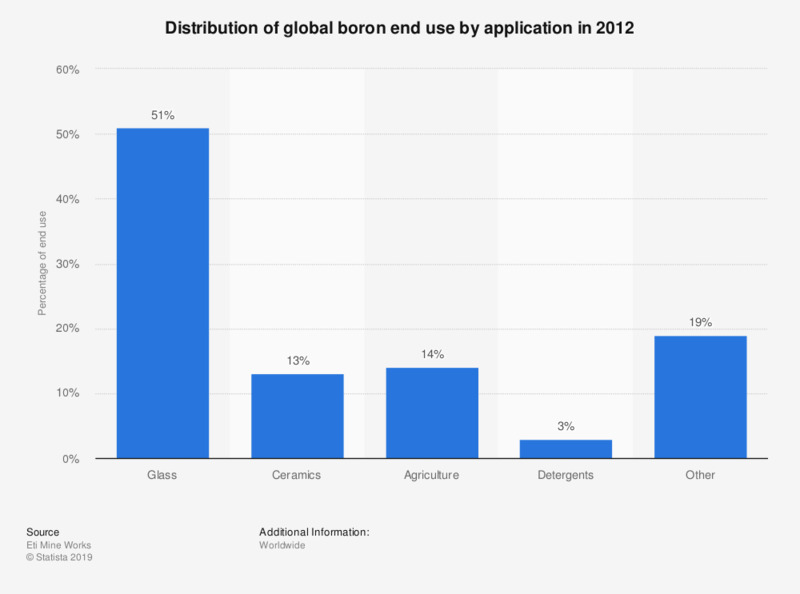 This statistic displays the distribution of the global boron end uses in 2012, by application. As of that year, the use of boron in ceramics accounted for 13 percent of total end use. Boron occurs in some volcanic spring waters and in minerals as borates. It is predicted that due to rapidly increasing demand, a supply gap of borates may occur shortly after 2020.